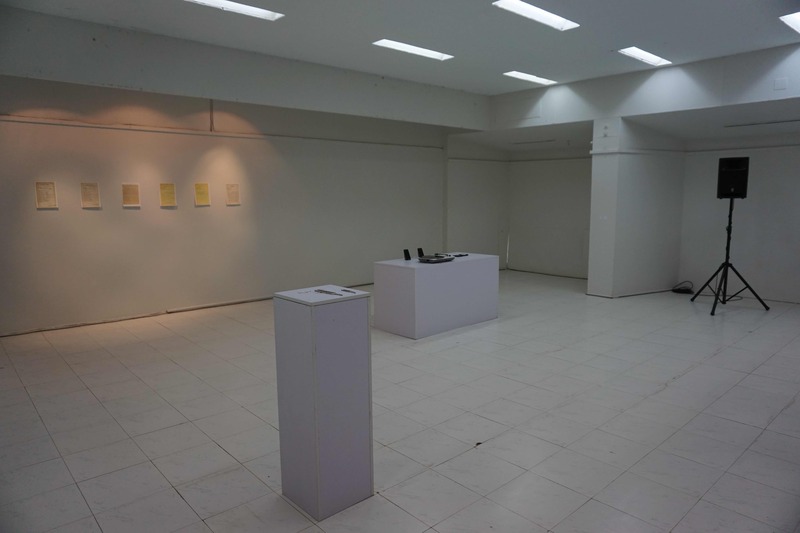 Gilles Aubry was part of the Goethe-Institut’s travelling exhibition ‘Digging deep, Crossing far’ from the Bangalore’s Literature Festival which was displayed at the Ahmed Pervez Gallery in the Karachi Arts Council. Gilles is primarily a sound artist and works within the field of audio and sound through his research. Gilles was hosted at the Vasl Artists’ Collective residence in order to help facilitate his work and research in Karachi for the ‘Digging deep, Crossing far’project. 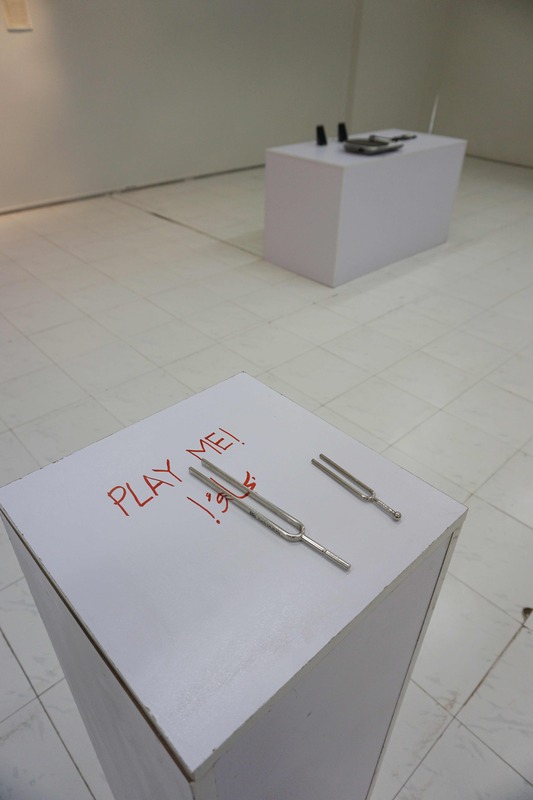 His installation comprised of two tuning forks ringing at their respective frequencies which referred to specific sounds deriving from both German and Hindu history. 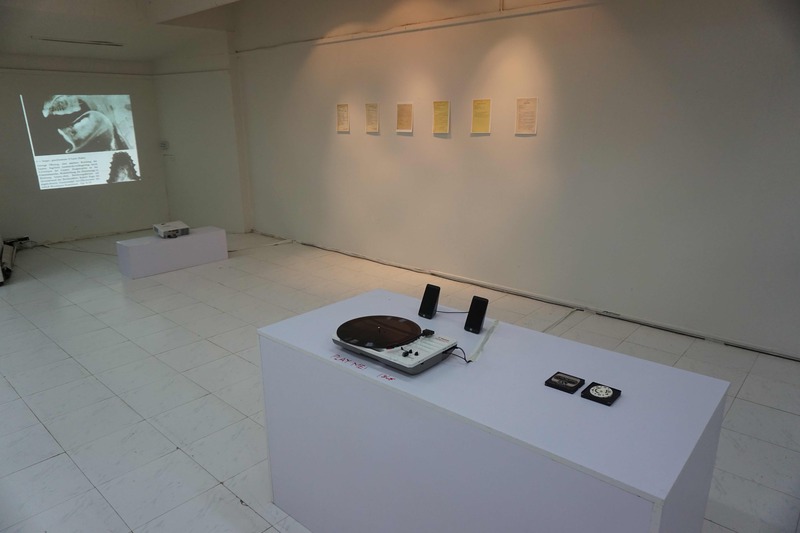 Focusing on epistemological aspects of the Indian prisoners’ recordings excavated from the Humboldt University WWI collection, Gilles was the only sound artist at the exhibition and his work was received with much interest and curiosity by Pakistani viewers and artists. Gilles Aubry is a Swiss sound artist and researcher living in Berlin. His practice is based on an auditory approach of the real, informed by researches on cultural, material and historical aspects of sound production. Frequently combining audio sources such as location recordings, interviews, music recordings and archives, Aubry creates installations and performances. His works typically explore the relational and reflexive qualities of sound and listening while questioning problematic aspects of cultural representations. He has toured and exhibited internationally.